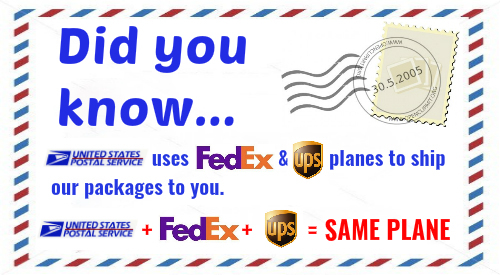 USPS uses the same planes as FedEx/UPS to ship your orders. - Did you know we only ship on Mondays, Tuesdays & Wednesdays? This is to try and ensure you receive your order prior to weekends, and packages do not get held up until the following work week. - Your order did not show up in a timely manner? We monitor weather conditions, Cold or Hot, for all areas, and ship accordingly. If your area is too cold/hot, we've most likely held it until weather conditions are better. You may check your order status at anytime by logging into your account and reviewing your order status, or by contacting us via email at info@seattleorchid.com. Due to large volumes of orders, we sometimes do not get the chance to let you know, but do try our best to keep you informed. We are unable to follow up with tracking a package but must leave this with the customer. Every customer order is automatically emailed a tracking number on the day the package is shipped. It is then up to the customer to follow/track their packages as we have no manner to follow up with the postal service. Once your package has left us/picked up by the USPS, all responsibility is with the USPS and you will need to contact them directly for help. We will do what we can to assist but they do not offer any information to us. Customers who contact us in a polite manner will be handled with extra care and attention. Items lost in shipping will be handled as necessary but we are not able to do anything until the package is either delivered or returned to us. If you choose to return a package back to use due to excessive shipping time, please DO NOT OPEN THE BOX! Don't open the box and write on the package "REFUSED" and give back to the postal worker. If you choose to open the package and then return it, you will be required to pay the return postage. Once we have received the item we will decide what method and amount to refund. However, you should always contact us first before ever sending anything back to us. - Shipping Choices/Speed... We offer Priority Mail service which is offered only as an approximate shipping time, which is listed on your order at time of purchase. The 2-3 days, 3-4 days offered are ONLY approximate times and not guaranteed. Sometimes packages take longer, but this is out of our control and does not change the price paid. Shipping times can change and without notice. Times of heavy shipping nation wide can cause orders to take longer. We try to account for these high volume periods and ship appropriately. - How do I return an item? If you need to return a product to us, please email us at the email address below. We will follow up with you promptly. *Please note we reserve the right to alter/change shipping dates on any/all orders WITHOUT NOTICE. Unforeseen events can cause problems and we must occasionally change the shipping dates of backordered, pre-ordered, or in-stock product WITHOUT NOTICE. 1- What are the high temps where you are located? Below 35F? We will hold, even with a heat pack. 2- What's the temp in Memphis, Tenn.? Most all of our packages heading East of the Rockies go through Memphis. This means if Memphis is below 35F, then we must still hold orders as they have no protection during transfers. If only one of these factors is valid, then we will hold until the weather eases. This includes Arizona, Texas, New Mexico. REFUND POLICY FOR COLD/HOT WEATHER HOLD CANCELLATIONS - We will use your discretion and/or ours at any time we deem necessary to hold an order due to weather conditions being too hot or too cold. If an order is held for any reason we will allow a 2 week period for cancellation. After 2 weeks orders maybe cancelled but may incur a 20% fee, and subject to 'In Store Credit' for refund. Why? Some plants have more value than others depending on what they are or if they are in bloom. If we hold a plant for more than 2 weeks and you decided to cancel, the value of the plant and it's salability may be decreased or lost. Please be aware of your weather conditions when placing orders. We sell living, tropical orchids and we want to ensure you receive them in great condition. If you live in an area which might be excessively cold or hot, you must be aware it can be difficult during certain times of the year to ship orchids safely. If you're not sure about your weather, please contact us and we can help. We want you to be happy with your purchase from Seattle Orchid. Because of the nature of Orchids being perishables, we allow 7 days from date of order received to return the product. This 7 day period will give you the time to contact us with any issues your plant might have had during shipping, or questions you might have. We do monitor what we ship and will not ship a plant if we are aware of any issues, or we will contact you prior to advise. You may exchange or return most merchandise for a full refund or store credit (our discretion), less shipping charges, based on the original form of payment. Your polite email or phone call will usually determine how this will happen. Most all of our customers are very kind and genuinely polite and we are happy do all we can to go above and beyond. Unfortunately, we do have the occasional few who think it must be necessary to be disrespectful or impolite, and it's unfortunate. We reserve the right to request photos of damage claims. Please note: All return shipping costs are the customers responsibility. If you are returning a gift, you will receive a store merchandise credit. Please contact customer service for additional information on returning an item. Thank you. *Please note we reserve the right to alter/change shipping dates on all/any orders, backorders or pre-orders. Unforeseen events can cause problems and we must occasionally change the shipping dates of backordered/pre-ordered product. Excessive, unnecessary and/or Spite reviews, etc. can result in your account being closed. We do not tolerate reviews which are untrue, made in spite, misleading, etc. If you have an issue with a plant, please contact us directly so we can help. Our policy if you purchase an item within 7 days of that item going on sale, you will receive the sale price via ‘in store credit’ upon request. This will include only items marked with an actual ‘SALE PRICE’ we have marked down, but excludes offers of a potential discount if using a discount code. If you forget to use your discount code when placing your order, we'll offer you an in store credit for the difference in pricing, upon request. Sale pricing is based off of the original price. If something is on sale and you have a discount code, your discount will be based on the original price. ie; If something is Reg. $20, SALE Price is now $14.90 and you have a discount code for 10% off, the item price will still be $14.90. If the discount code was for 30%, you would receive an additional $.90 off for a total of 30% off. Phone Order Fee; As an online company, phone orders take extra time. As a result we have had to implement a $2.00 fee for phone orders. How do you package your orchids? SeattleOrchid.com takes great pride in packaging each orchid with absolute care. We use recycled newspaper shredding in each box as insulation and padding. In addition, each orchid will be wrapped carefully using a ventilated plastic sleeve or additional newspaper. All orchids are carefully packaged for zero damage. We take every care possible to ensure safe arrival for your orchids. Do you deliver orchid gifts in person? Unfortunately we do not deliver gifts locally. We ship all of our orchids via USPS. We want to ensure your gift recipient will be surprised when he/she receives their beautiful orchid. I'm concerned about the weather, will you hold my order? Absolutely! Please advise us of your weather conditions. We try to monitor conditions across the US but cannot keep up with every location. We reserve the right to HOLD ANY orders that are unsafe for delivery. 72-hour Heat packs are available for purchase on our website to help control temperatures within the box. These have proven well for over 1000 packages! When will I receive my orchids using USPS priority? Delivery for USPS Priority is generally 2-5 days. We ship all of our orchids Mon-Wed. only. Orders placed before 10am, Pacific Time, on Mon-Wed will usually be shipped out the same day (excluding high volume times such as a sale or holiday). Orders placed after 11am, Pacific Time, on Wed. - Fri. will be shipped out the following Monday. NOTE: USPS Does NOT guarantee delivery time nor plants. 2-3 Day shipping does NOT necessarily mean it will be there in 3 days. This is NOT our delivery time quote, but theirs. They suggest it will take this long, but sometimes it could be a little longer. This is why we only ship M-W, so orders don't get held over the weekends. Do you ship orchids internationally? Due to agricultural restrictions, we currently DO NOT export orchids internationally. *Please note we reserve the right to alter/change shipping dates on all/any plants backordered or pre-ordered. Unforeseen events can cause problems and we must occasionally change the shipping dates of backordered/pre-ordered product.